The Howe Sevens is a highlight of the local sporting calendar. 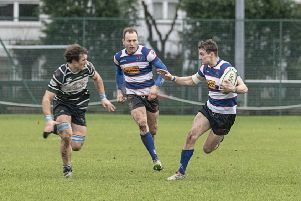 With the end of the club rugby season approaching, attention will soon be turning to the area’s traditional sevens event. 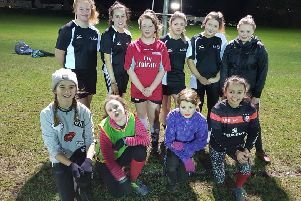 The annual Howe 7s has become the Premier 7s competition in the Midlands Caledonian region and has always brought down the curtain on the club season. Local teams, Dundee, Glenrothes, Perthshire, Strathmore, Stirling, and others from Edinburgh and Aberdeen take part each year. Along with the senior men’s competition for the J R Gray Trophy, there also runs the women’s competition for the Manson Trophy and the U18s boys competition for the Drummond Trophy. It is a full day of rugby from 11am through the final whistle around 6pm. Over the last number of years the main tournament has become the exclusive domain of the home club, Howe being undefeated for over seven years. It’s a fantastic day out for supporters with bar and catering facilities close to the pitch, providing a great view of all the action. This year as an added bit of extra fun, there will be a fancy dress competition among all the clubs taking part. And there is nothing to stop the supporters and spectators taking part. And it can offer a great opportunity for local and national businesses to increase their profile in the area through sponsorship and support of the event. Club President, Chris Reekie explained: “The success in attracting players and supporters always provides a fantastic atmosphere at Duffus. “To put on a fun occasion and provide a day of sport comes at a cost, and to help us balance the books we continue to seek financial support from a sponsor or sponsors. We understand their has to be a benefit from such a relationship. We believe the on-going success and popularity of the tournament provides a great platform for a company or companies to get involved.